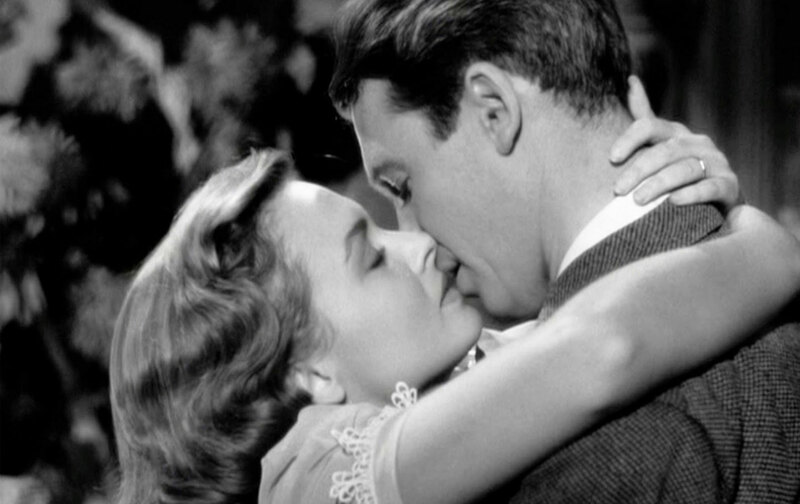 It’s a Wonderful Life is a movie about a local boy who stays local, doesn’t make good, and becomes so unhappy that he wishes he had never been born. An angel named Clarence shows him what his family, friends, and town would have been like if he hadn’t been. One important function of good art or entertainment is to unite and illuminate the heart and the mind, to cause each to learn from, and to enhance, the experience of the other. Bad art and entertainment misinform and disunite them. Much too often this movie appeals to the heart at the expense of the mind; at other times it urgently demands of the heart that it treat with contempt the mind’s efforts to keep its integrity; at still other times the heart is simply used, on the mind, as a truncheon. I mistrust any work which tries to persuade me—or rather, which assumes that I assume—that there is so much good in nearly all the worst of us that all it needs is a proper chance and example, to take complete control. I mistrust even more deeply the assumption, so comfortably stylish these days, that whether people turn out well or ill depends overwhelmingly on outside circumstances and scarcely if at all on their own moral intelligence and courage. At its best, which is usually inextricable with its worst, this movie is a very taking sermon about the feasibility of a kind of Christian semi-socialism, a society founded on affection, kindliness, and trust. Its chief mistake or sin—an enormous one—is its refusal to face the fact that evil is intrinsic in each individual. It interests me, by the way, that in representing a twentieth-century American town Frank Capra idealizes so much that seems essentially nineteenth-century. Many small towns are “backward” in that likable way, but I have never seen one so Norman-Rockwellish as all that. Capra’s villainous capitalist is a hundred per cent Charles Dickens. His New Capitalist is a blithe, tough, harmless fellow, and cables the hero a huge check, when it is most needed, purely out of the goodness of his heart. Like Stewart, he is obviously the salt of the earth. Some day I hope to meet him.